Nearly 9000 people in Ireland are now homeless and over 3000 of these are children. 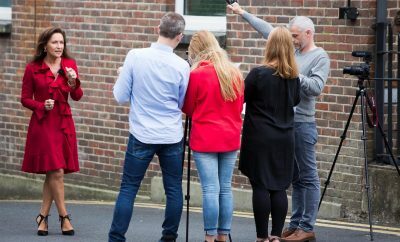 Focus Ireland with support from Bord Gais Energy, is calling on people all over Ireland to take part in ‘Ireland’s Great Get Together’ this April 20 – 22nd, to raise vital funds to help prevent family homelessness. Celia Holman Lee responded to the call and with the help of her friend Richard Lynch of I Love Limerick got Limerick’s top digital influencers together for a photo shoot with award-winning photographer Dermot Culhane in Limerick’s Shannon Rowing Club in support of the campaign. The group also shot a Public Service Announcement asking the public to get involved in the campaign. 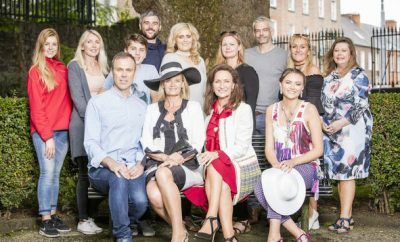 The digital influencers involved in the campaign with Celia were Leanne Moore, Louise Cooney, Shauna Lindsay, Patrick McLoughney, Richard Lynch and Sinead O’Brien of Sinead’s Curvy Style. 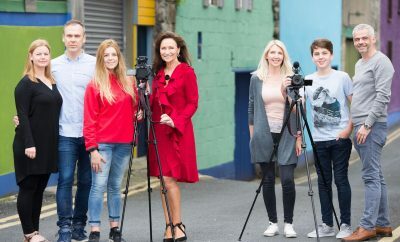 Celia Holman Lee and Focus Ireland have recruited Limerick’s top digital influencers in support of Irelands Great Get Together. Pictured at the Shannon Rowing Club in Limerick, from left to right – Lousie Cooney, Patrick McLoughney, Shauna Lindsay, Celia Holman Lee, Sinead O’Brien, Leanne Moore and Richard Lynch (front centre). Picture: Dermot Culhane. Speaking at her Get Together Celia said, “I’m delighted to support Irelands Great Get Together for Focus Ireland. I sadly see the heartbreaking impact of homelessness all around me in Limerick every day and it’s a cause that is very close to my heart. I come from a large family and I would hate to think of any of them feeling alone or worried about losing their home. Irelands Great Get Together is all about Home, Family, Friends and Community all of which I strongly believe in and which are key to us all. It’s about bringing people together to help prevent families in your neighbourhood from becoming homeless. It’s a great cause and I urge everyone to get involved”. Speaking about Celia’s involvement in the campaign Rebecca Reynolds, National Fundraising Initiatives Manager said “Celia is an ambassador of Focus Ireland and we are thrilled to have her support and the support of six of Limericks top Fashion and Digital Influencers whom she invited to take part in her Great Get Together. They have a collective following of over 250,000 people on Instagram alone, so if that isn’t a Great Get together I don’t know what is! They are all fantastic to lend their support and time voluntarily to Focus Irelands first Great Get Together campaign to help us spread the word. We hope that lots of their fans follow their lead and have their own Get Together. It doesn’t matter how big or how small”. ← Previous Story Fashion and fundraising for St Nessans NS Mungret Fashion Show Gala. Celia Holman Lee is a renowned fashion commentator and television presenter along with being a respected model and agent. Both nationally and internationally-recognised, she has been active in the fashion industry for five decades.